THE HESLOP HOUSE: CALLING ALL FLOWER GIRLS! Ok there has to be somebody out there willing to help me in my time of desperation. As many of you know i'm in a rental home right now, so my alterations are limited on my part, and limited because i'm not the homeowner. it's so hard to invest time and money into something that you'll have to leave behind, but i like to make it comfortable for my taste as well, as much that's allowable, legally. so the yard is big and green, most of it, and there are some nice trees and shrubs surrounding the house, but no flowers!!! there is some ground cover that was suppose to come up, but has yet to make its debue, but nothing else. there are these two trouble spots I'd like to invest in, reasonably, and get something planted, but what? yes, that's where the girls come in. i need someone who is knowledgeable in what to put next to what, and what will last, and what will look good. i tend to stick with hostas and pots, but i really wanna get something different in. Anyone who is willing to go to the store with me and help me pick stuff out, and then tell me where to plant it would be such a big help. I would be so happy to just show up with the cash and maybe buy a few drinks or something. 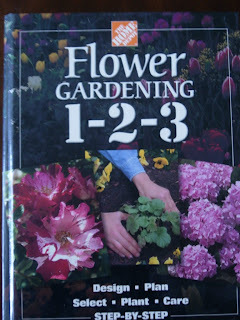 I know this is a lot to ask, but I'm just not a flower planter, i love flowers, I just don't know what to put where. That is why I'm taking the initiative to delegate this great task to someone who can do it better than i. So, if you feel sorry for my sappy green yard, next to my green house, let me know if ya wanna help! happy planting! I am by no means a flower girl, but you might want to call Gail Earl or Susan Walpole. They have great gardens!